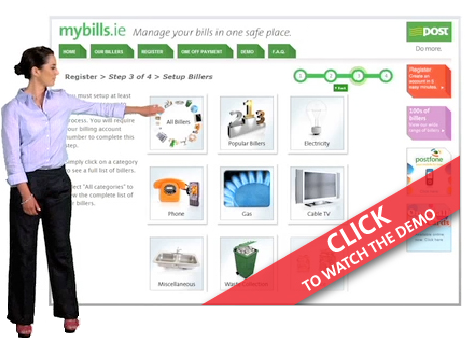 Customers are advised not to respond to e-mails purporting to be from MyBills.ie. MyBills.ie will never contact customers requesting payment details. Say hello to mybills.ie from An Post. It gives you total control over your bills and it's completely free. Pay as much as you want, when you want. All in one place. It couldn't be simpler. Here's a simple demo to get you started.